This hike near Huaraz will take you to the base of the Churup glacier,towering above its magnificent turquoise-blue lagoon. It is an excellent alternative to the Laguna 69. 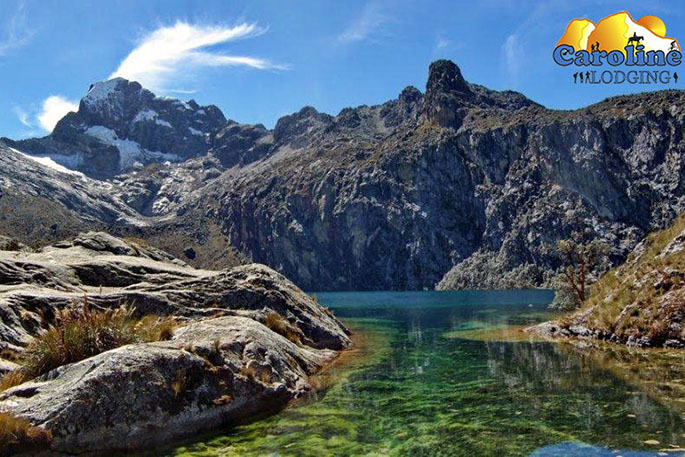 Climbing along a 3.5km path with a 600m drop, you will enjoy cascades and torrents, as well as fauna and flora typical of the Cordillera Blanca. To get there,take the collectivo at the corner of Gamara and Las Americas. Everyday around 7 a m a minivan goes up to Llupa. From here you can start your hike to Pitec (1h 30m), entrance of the park. From here it takes another 1h30 to walk up to the laguna. (If you’re lucky the collectivo may go all the way to Pitec). When you return you either take a collectivo back from Pitec or you keep going down to Llupa and/or better Unchus. The trail has a small "technical" part: a rock face to be crossed using a rope. Be careful when wet after rain.